Like the body that needs physical exercises to stay healthy, the brain also needs stimulation to boost the mental awareness of the individual. The level of your mental awareness can greatly affect your perception of things as well as the sharpness of your memory. As people age, such mental awareness declines, though. But, there are activities one can do for mental stimulation. American Safety Options, Inc. is fully aware of this natural occurrence. 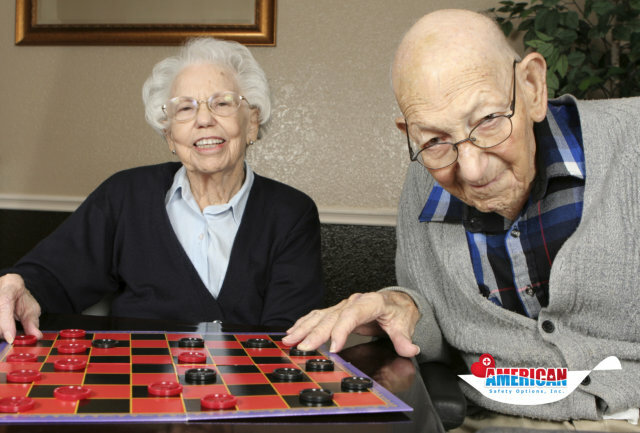 Here are some activities that can stimulate the mental awareness of your elderly. Solving puzzles is the most popular way of stimulating the brain. You can give your elderly a crossword puzzle that he can solve on his own. A crossword puzzle keeps his brain healthy by challenging his memory. Another puzzle that he can do is Sudoku, which is like a crossword puzzle in form but uses numbers, instead. Board games are also brain-stimulating activities, aside from them being fun if played with several people around. Some of the best board games that you should let your elderly play are chess, checkers, and Monopoly. According to a couple of studies and researches, playing these games improves the chances of avoiding memory loss. You also need to encourage your elderly to read more, especially during his spare time. Reading books or magazines can improve the declining cognitive function of the senior. It will also help in the prevention of memory loss in the future. When a person tries to learn something new, such activity stimulates the brain cells as it creates a new pathway inside the brain. Encourage your senior to learn something new, whether it be a musical instrument, a language, a hobby, or a skill. Did you know that dancing frequently also stimulates the brain? Dancing requires coordination and focus to learn and perform the steps properly. In addition, dancing is a form of cardiovascular workout which improves blood circulation, most especially to the brain. So, go ahead and have a few dancing sessions with your elderly. As a leading home health agency in Newtown Square Pennsylvania, we commit ourselves to taking care of elderly patients. We provide services that you and your patient are in need of. Our caregivers are trained and qualified to perform these tasks properly. Call us today at 484-423-3446 and find out how we can work together in ensuring your elderly’s well-being.